Adventure to one of the best places to visit in Michigan. Wondering where to go during your next visit to the state of Michigan? The Midwestern location contains a variety of environments, from beaches to forests, as well as exciting urban settings. Outdoors adventurers will love exploring the natural landscape, while fans of arts and culture can sight-see throughout city streets. Every traveler will find something fun to do when they decide to make a trip to Michigan. If you’re not sure what to see in Michigan, read our article below. We’ve compiled a list of the top places to visit in Michigan while vacationing. Mackinac Island provides visitors and residents with a getaway from the stresses of modern life. This unique Michigan location doesn’t allow cars, so transportation usually involves biking or riding horses. The lack of noisy vehicles means that the island stays quite peaceful, as if it has remained in the past. Tourists find the island charming and quaint when they come here, as they love the calmer atmosphere and outdoors landscapes. If you’re looking for relaxation and a connection with nature, Mackinac Island should be a must-see site. 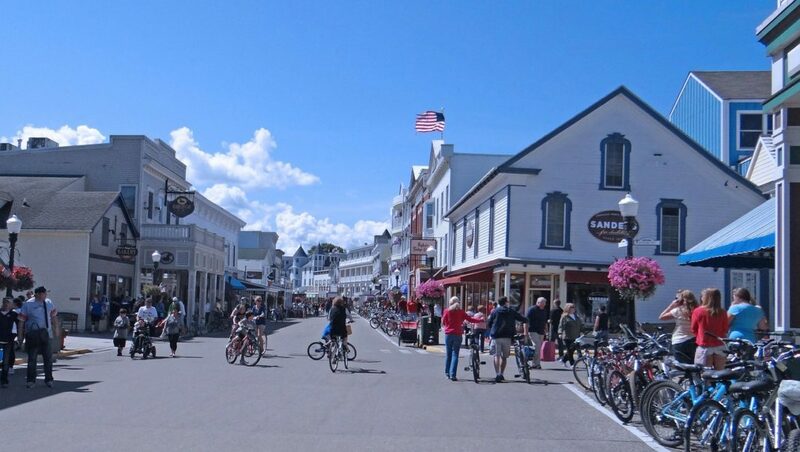 As one of the best places to visit in Michigan, Mackinac Island offers visitors countless things to see and do. If you enjoy spending time in nature, you should consider biking on a trail around the island. This allows for incredible views of the scenery, and lets you encounter various landmarks along the way. Almost the entire island has been designated as part of the state park, so you’ll find many landscapes to explore. Along the main street in the downtown area, tourists flock to the area’s famed fudge shops. Boutiques and shops also line the region, making it ideal for those who like shopping in a casual manner. If you don’t know much about Michigan, Detroit might be the one city you’re familiar with. The Michigan location remains a top tourist attraction due to its history and vibrant culture. Visitors will not encounter a lack of things to do while in Detroit, with the city’s countless restaurants and attractions. Kids and adults may both find the Michigan site appealing, since you can find activities for every age group here. 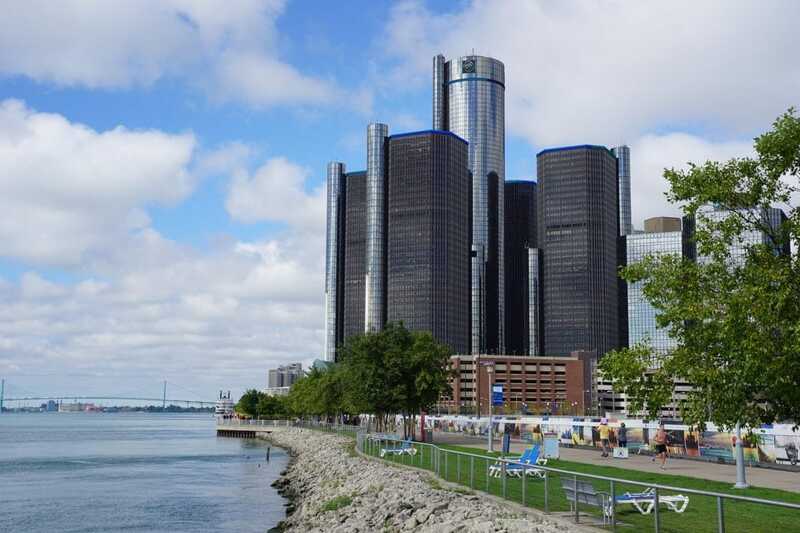 Travelers who love cars will find Detroit particularly exciting, as the city has been known for its automobiles. After traveling to this city, you’ll understand why it represents one of the best places to visit in Michigan. While you’re staying in one of the coolest places to visit in Michigan, stop by the Henry Ford museum. The attraction allows visitors to learn all about automobiles and their history in Detroit. The Detroit Institute of the Arts will please art fans, with galleries available for viewing. Families should embark on a river cruise or visit the Detroit Zoo. Both activities allow young and old travelers to enjoy time spent together, while learning about the Michigan city. At the Anna Scripps Conservatory, guests can see a variety of vegetation and discover new kinds of plant life. One of the most stunning places to visit in Michigan is Ann Arbor. The region has an incredibly lively energy, thanks to the variety of cultural and historical attractions found here. The University of Michigan Museum of Natural History and Planetarium contains countless exhibitions highlighting the area’s natural environment. Children will definitely enjoy exploring the various displays found in this museum. Travelers should note that the museum has been closed for a year. It will remain closed through the fall of 2019. The University has been building a new museum, which will reopen in Spring 2019. 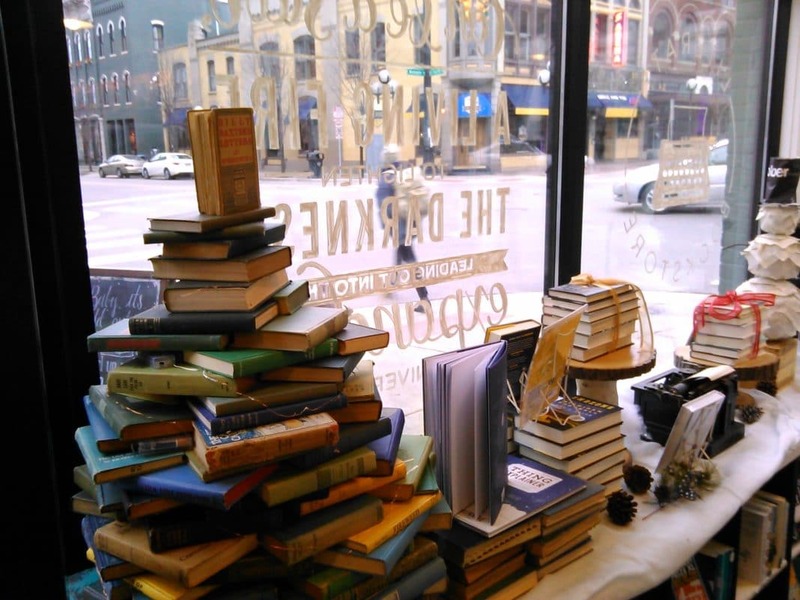 Tourists with a love for literature should stop by one of the area’s many independent book stores. Shows playing at the Hill Auditorium will additionally appeal to any fans of theater. Those who prefer traveling outdoors will also find activities that fit their tastes. Travelers interested in exercise should consider hiking or biking in the Hudson Mills Metropark. The area will be particularly beautiful during the autumn, when the leaves change their colors. Or, if you prefer water sports, try canoeing down the waters in Argo Park. If you go during the right season, you might also want to watch a football game at the Michigan Stadium. Family and friends will enjoy cheering on the teams as they appreciate the massive stadium and comfortable weather. Add Ann Arbor to your list of must-see places to visit in Michigan, and you’ll have an exciting adventure. Traverse City represents another of Michigan’s quaint and charming locations. This location, one of the most beautiful places to visit in Michigan, heralds stunning natural environments and an urban scene. Known for its cherries, the area has countless cherry trees and exceptionally delicious types of the fruit. On the area’s peninsulas, you’ll find a few wineries that will awe any travelers with an affinity for the drink. Over 30 wineries may be explored in this area, with Chateau Grand Traverse one of the most popular locations. Those who don’t enjoy wine can also visit the various breweries and distilleries that stand just a short drive away. One of the best places to visit in Michigan, Traverse City hosts several unique cultural attractions. The Traverse City Film Festival will excite any tourist who loves movies. This six-day event highlights independent films and filmmakers, so you’ll get to see movies you wouldn’t likely watch otherwise. If you visit during July, you may also witness the National Cherry Festival. Thousands of tourists come to the city at this time for the event, making it an exciting activity. The downtown area, with its many stores, also offers visitors the chance to purchase souvenirs from their travels to Michigan. In the capital city of Michigan, tourists will find a host of unique activities and attractions to excite them. 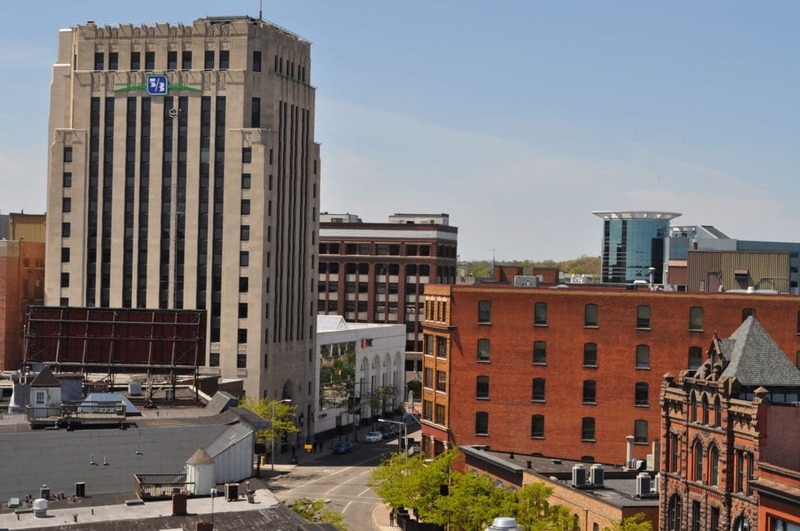 Lansing has a bustling, urban atmosphere, though it still maintains a quiet Midwestern charm. Various restaurants and stores line the streets, so you’ll never fail to find a place to eat or shop. You’ll also find the campus of Michigan State University here, near the eastern part of Lansing. The grounds of this university were founded in the 1800’s, with beautiful architecture highlighting the college’s history. Younger crowds may particularly enjoy exploring the various restaurants and bars found on the campus as well. Lansing, one of the coolest places to visit in Michigan, doesn’t disappoint when it comes to tourist attractions. Families will enjoy stopping inside the area’s various restaurants, which remain popular among visitors and residents alike. The Golden Harvest Restaurant and Emil’s represent two of the top restaurants in the area, serving delicious meals daily. On Michigan State’s campus, you can find the MSU Dairy Store, which offers ice cream and cheese produced by students. You should definitely walk through the entire campus, as it spans thousands of acres and contains stunning buildings. This uniquely named city in Michigan has an even more eccentric, lively feel. With its vibrant art scene, Kalamazoo remains one of the most exciting places to visit in Michigan. Countless cultural attractions can be found here, including a huge variety of arts and entertainment venues. The city even grows more thrilling at night, with concerts and art shows tending to occur at this time. One the first Friday of each month, tourists can visit the Art Hop, which highlights art installations around the area. The Kalamazoo Institute of the Arts also hosts many art exhibitions throughout the year. Children may love the Air Zoo, as it displays various aircraft from modern and historical periods. If you prefer outdoors activities to cultural attractions, you’ll still find something to do here. Kalamazoo contains many parks for walking or hiking, as well as biking trails for even more exercise. Other venues outside provide locations for picnics with family and friends. Nearby certain locations with access to creeks or rivers, you can also partake in a canoeing adventure. Travelers who consider themselves to be “foodies” might additionally enjoy checking out the city’s various restaurants. Wineries and breweries abound, as well as various unique restaurants serving both classic and trendy fare. As one of the coolest places to visit in Michigan, Kalamazoo won’t fail to excite tourists when they come here. Found on the shores of Lake Michigan, Muskegon contains some of the best beaches in Michigan. Travelers who love spending hours on soft sandy beaches will find this city an ideal location. You can explore over 26 miles of coastline while staying in this area. Tourists won’t struggle to find an open space on the sand for laying down a towel and tanning. Numerous historical lighthouses can also be visited along the coast, with structures originating in the 19th century. Multiple state parks even line the region, offering visitors the opportunity to go camping on the beach or dune climbing. 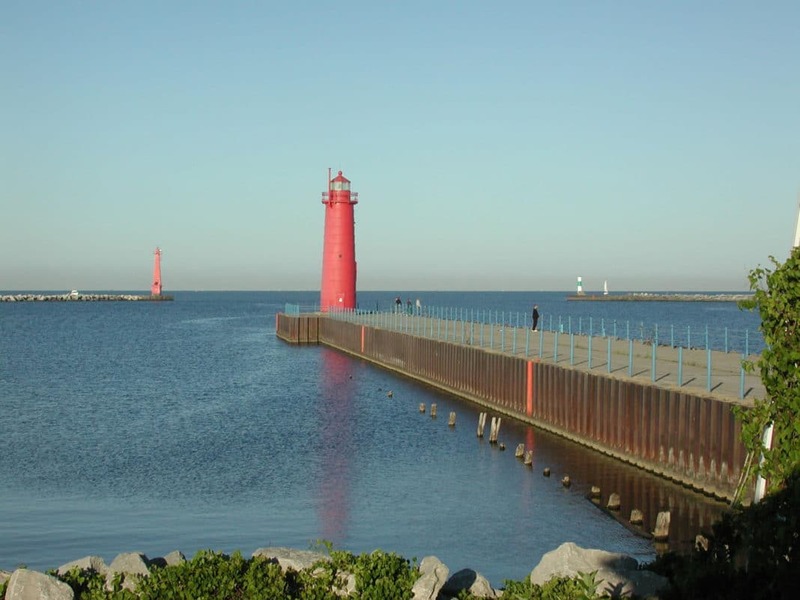 As one of the largest cities in the western part of the state, Muskegon also maintains an exciting urban atmosphere. Many museums and historic venues may be visited, including the Hackley & Hume Historic site. This area contains numerous refurbished mansions once built by successful members of Michigan society. Thrill-seeking tourists may additionally want to spend a day at Michigan’s Adventure, the state’s largest amusement park. The site has over 50 rides, such as extremely tall roller coasters, as well as a water park. Children will love spending hours sliding down the water-park rides and swimming in the wave pools. With its variety of attractions, Muskegon remains one of the coolest places to visit in Michigan. When in Frankenmuth, tourists will find the small town a charming departure from busier and louder city environments. This location, one of the best places to visit in Michigan, contains many unique attractions. The area has a strong German history, hence its name, and thus holds an affinity for German culture. Frankenmuth also has an ideal location, as it’s only a short drive away from larger metropolitan areas, such as Detroit. 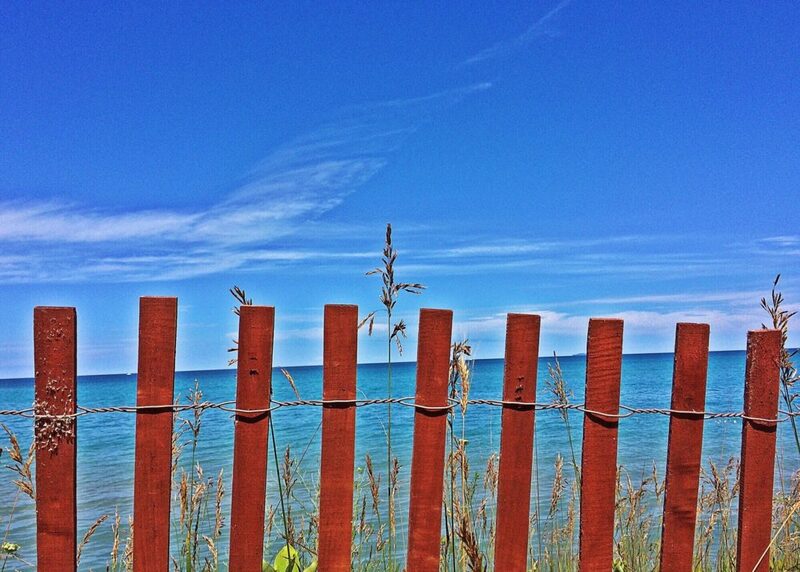 You could easily spend a day here after vacationing in one of Michigan’s major cities. Travelers will also be able to drive to Lake Huron from here, so they’ll be in proximity to the water. 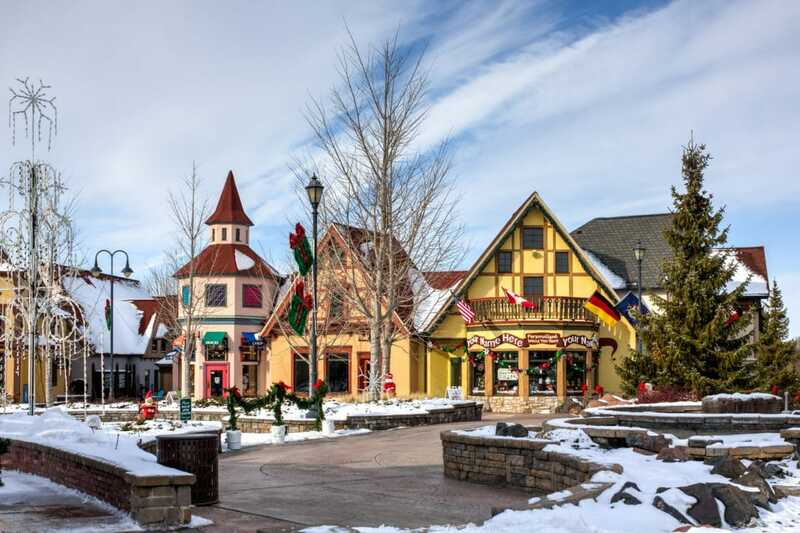 Frankenmuth has the largest Christmas store in the world, so travelers who love this holiday will want to visit. Bronner’s Christmas World has numerous decorations and gifts related to the holiday year-round. You’ll feel in the Christmas spirit even if you decide to visit Frankenmuth in July. While downtown, make sure to visit the Frankenmuth Historical Museum. There, you can learn all about the town’s German history. Adventurous travelers may want to go zip-lining at the Frankenmuth Adventure Center. You could even take a horse-drawn carriage ride through the streets. If you love traveling through the outdoors, make Isle Royale a must-see location when visiting Michigan. As the largest island in Lake Superior, Isle Royale sits quietly on the water, separated from the bustling mainland. This island, as well as its surrounding islands, have been named a National Park for many decades now. No residents live here, so the area truly feels like a step away from civilization. The region comprises over 200 square miles of natural environments, including forests and coastline. 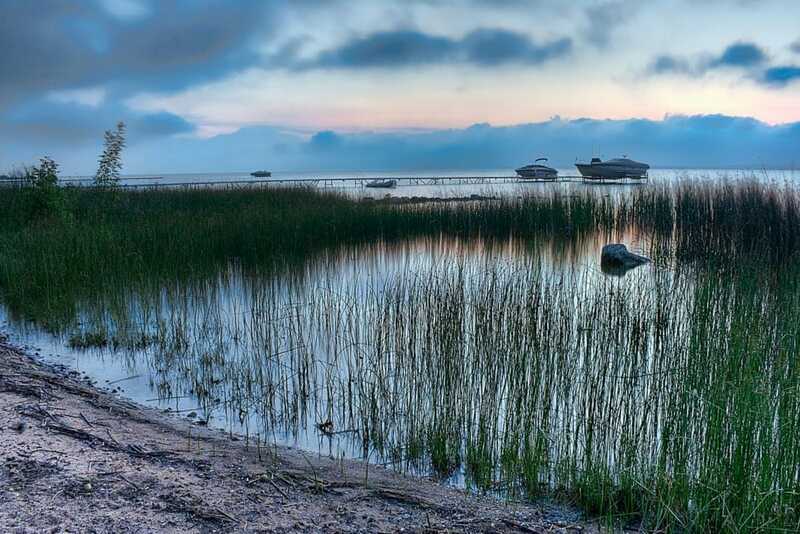 As one of the most beautiful places to visit in Michigan, you won’t want to skip out on traveling here. 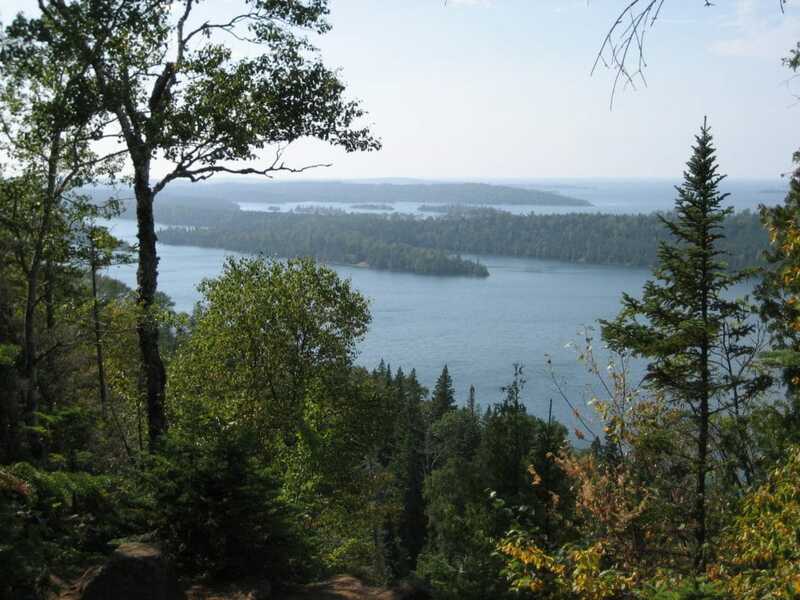 While on Isle Royale, visitors may be able to witness a huge variety of wildlife living here. Moose, wolves, bears, and reptiles remain just a few of the animals you might see on the island. Fishing remains a popular activity, as you can find an abundance of the creatures swimming in the lake. During the warmer months, you might consider wading into the clear blue waters from the rocky shore. You could also go kayaking around the island, allowing for a truly unparalleled view of the environment. Campers will find this one of the top places to visit in Michigan, as campground spaces abound here. Grand Rapids remains one of Michigan’s most exciting cities to visit. The area contains countless museums, restaurants, and access to outdoors activities. Both kids and adults will be able to find venues for their favorite activities while here. A variety of different tours can be arranged, including brewery and walking tours of museums. While in the city, you’ll also have breathtaking views of the nearby lake. This would be a great location in Michigan to visit during the warmer months, as lake breezes provide cooling relief. 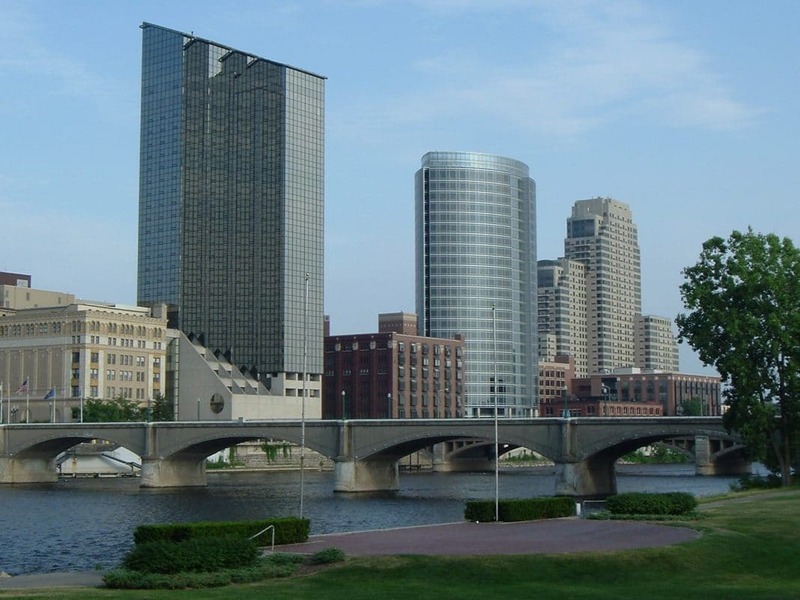 Every tourist should stop by Grand Rapids, one of the top places to visit in Michigan. In the city, museums like the Gerald R. Ford Presidential Museum remain must-see attractions for travelers who love history. On Heritage Hill, younger visitors will enjoy walking among architecture and structures built in the 1800’s. The Frederik Meijer Sculptures and Garden Park also remains popular among fans of unique art. Millennium Park provides the perfect venue for taking a hike and letting off some steam. If you enjoy beer, be sure to stop by one of the area’s many breweries for a refreshing drink. Craft brewery tours additionally provide a fun activity for adults who want to learn more about the beer-making process. Travel to the best places in Michigan during your next trip. Whether you like to swim in the lake or hike through forests, Michigan heralds many stunning outdoors landscapes to explore. 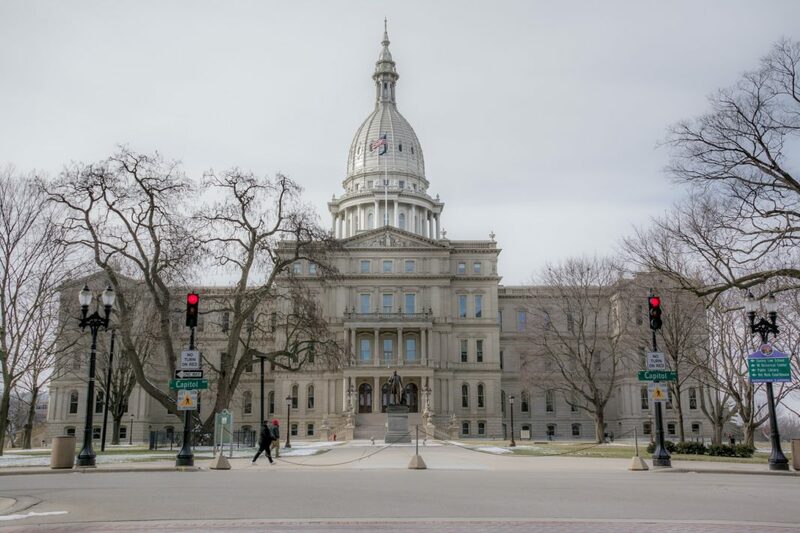 Those who like learning about history and culture can find countless venues in Michigan’s cities to fulfill these desires. You can find a variety of unique Michigan attractions that will appeal to every type of traveler. We hope our list of the best places to visit in Michigan helps provide inspiration for your upcoming vacation. When you travel to this Midwestern state, you might never want to leave. Related Article: Most Beautiful Places in the US: Have you been to these? Next article11 Best Weekend Getaways in the U.S.